There are several Walgreens NNN Lease For Sale in the state of Florida and Nationwide. Walgreens NNN Lease is a highly sought investment among NNN investors due to its singular benefits of: Capital Preservation, Passive Income, Capitalization, Investment Stability and Tax benefits through 1031 Exchange. Most of the Walgreens NNN investment opportunities include a 20 – 25 Lease Term, CAP Rate between 5% – 6% and are located in prominent signalized hard corners. Walgreens NNN Investment properties are an excellent opportunity for 1031 Exchange investors that are looking for a reliable replacement property. Walgreens is a publicly trade company (NYSE:WAG) and is an Investment Grade tenant with a S&P Rating of BBB with a Stable Outlook. Walgreens is the largest drug retailing chain in the United States, the company operates 8,217 stores in all 50 states, the District of Columbia, Puerto Rico and the U.S. Virgin Islands (Wikipedia). NNN Leased Walgreens for Sale near Saint Augustine, FL – Clearwater, FL, Tampa, FL, Lakeland, FL , Cocoa, FL, Naples, FL, Orlando, FL – Jacksonville, FL – South Florida, Miami, FL – Charlotte, NC, Columbia, SC, Kissimmee, FL, Birmingham, AL, Memphis, TN, among others. 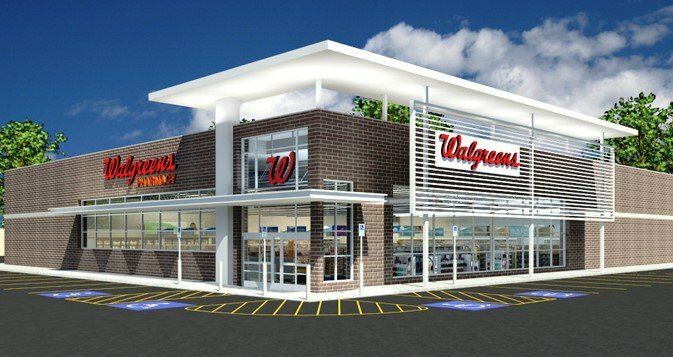 Interested in a Walgreens NNN Property?